Varicose Veins is a term you’ve most likely heard before. While people often seem to associate Varicose Veins with older people or as a part of the natural aging process, they can not only also affect women in their childbearing years…but men and women of all ages, too. In fact, some estimates have suggested that as many as 15 percent of Canadian men and women (adults) have varicose veins. What Are Varicose Veins/How Are They Caused? Varicose veins are veins (usually on the legs and/or feet) that become swollen or enlarged. They have a dark purple or blue hue, and visible to the naked eye with an appearance that is described as lumpy, twisting or bulging – though the way varicose veins appear do differ from person to person. Apperance isn’t the only concern for individuals varicose veins, however, as they can also have symptoms such as leg pain (often described as aching or feeling heavy), as well as swelling of the feet and ankles. Varicose veins occur when the valves of the veins prevent blood flow. As a result of these valves failing, the blood collects inside of the veins, making it difficult for the blood to flow upward to the heart, which is what then causes the veins to appear swollen or have that purple or blue coloured hue as described. Along with having a family history of varicose veins, they can also be caused as a result of pregnancy, standing for long periods of time, obesity, and menopause. If you are over the age of 50 you are also at a higher risk of developing varicose veins. As a family physician in British Columbia, Dr. Ali Ghahary will question patients on their medical history, ask about any symptoms the patient is experiencing, as well as examine the legs while the patient is in a sitting or standing position. In some cases, Dr. Ali Ghahary may refer patients for an ultrasound to check the blood flow. Depending on where the varicose veins are located, a venogram may also be recommended. During a venogram, a special dye gets injected into the legs to help give a better view of the blood flow as X-ray images are taken. A venogram can also check for any blood clots or blockages – both of which can also cause the legs to become painful. In order to prevent varicose veins, you may be required to make certain changes to your lifestyle. If you happen to work a job that has you standing for long periods of time, take breaks and sit down. Doing certain exercises, such as going for walks or doing leg stretches can also help to improve circulation and blood flow. If you’ve already been diagnosed with varicose veins, you can implement these lifestyle changes in addition to keeping your legs elevated as much as you can. Wearing compression socks, which can be found at many drug stores, can also help to alleviate swelling associated with varicose veins. Millions of Canadians live with or have had a skin condition in their lifetime. 20% of Canadians live with acne, while 3 million Canadians have been diagnosed with rosacea and/or psoriasis. Another common condition of the skin is skin dryness, flakiness and/or itching. 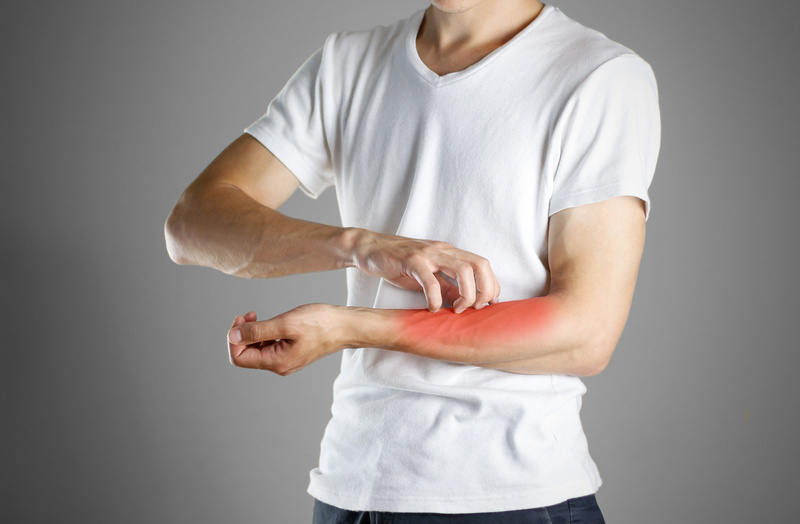 While eczema is something that is often characterized by these same symptoms, they can also be the result of a change in weather and temperature – particularly in the fall and winter months. When there is a decrease in temperature, there is also a decrease in the skin’s moisture content. This can then lead to the skin becoming dry, irritated and itchy, flaky, and you can even develop a rash. Even individuals with otherwise healthy skin are at risk. You are also more prone to developing dry, irritated skin if you have any of the pre-existing conditions mentioned above. While we can’t always predict nor can we change the weather, there are certain steps that Vancouver physician, Dr. Ali Ghahary, says we can all take to ensure that our skin remains healthy – and to also decrease some of those annoying, irritating symptoms that come along with skin dryness. Since the change in weather and temperature can have a huge impact on our skin, it is important to try not to stay outdoors for extended periods of time. If you find that you will be outdoors for longer periods, make sure you are wearing layered clothing to keep the skin protected (i.e. gloves, scarves, sweater.) People also often think that taking hot showers is good for the skin – but just like cooler temperatures, hot temperatures can also damage the skin and cause it to lose its moisture and natural oils, leading to dryness, irritation and rash. In order to replenish the skin’s moisture, using a moisturizer is beneficial. There are plenty of moisturizers on the market – it all depends on the type you are looking for. For example, if you have sensitive skin, then you may want to choose a moisturizer that is fragrance-free. Moisturizers can be found at drug stores, cosmetic stores, or online. 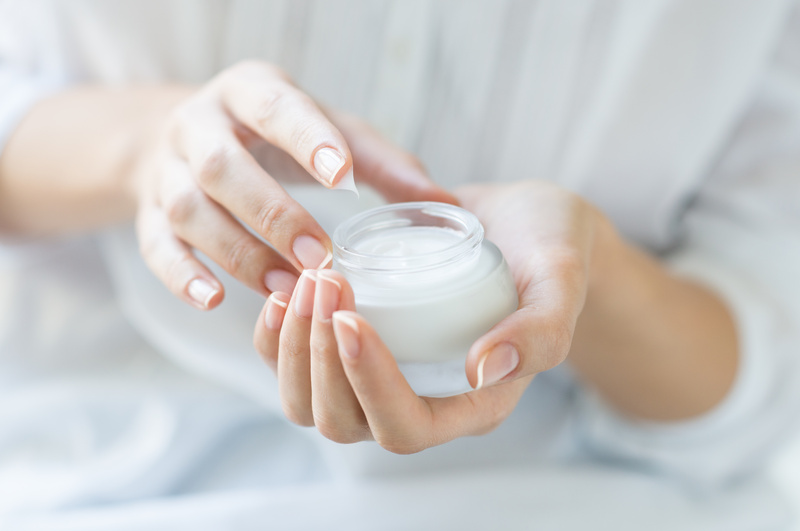 If you have any questions about which moisturizer is best suited for your skin type, your pharmacist or physician may also be able to answer any questions you have – and, in fact, may even be able to make a recommendation. Changes in weather and temperature aside, skin problems can also develop due to a number of other reasons, including sensitivity to soap, laundry detergent or other chemicals, an allergy to latex, fatigue, stress, and even bacterial or viral infections. If you have any concerns about your skin or notice any abnormalities, speak with your physician today. If you do not have a family physician but would still like to speak with a medical professional about your concerns, Dr. Ali Ghahary is available to see walk-in patients at Brentwood Medical Clinic in Burnaby. Acute Respiratory Distress Syndrome (ARDS) is a condition that prevents the lungs from getting enough oxygen due to the build-up of fluid in the lung’s air sacs called the alveoli. Some of the most common causes of ARDS include aspiration, pneumonia, septic shock, the inhalation of chemicals, as well as traumatic injury. Those who smoke or drink alcohol are also at a higher risk of developing ARDS. When the lungs become built up with fluid, their ability to expand then decreases. Consequently, you will then exhibit symptoms such as rapid breathing, difficulty breathing or shortness of breath, as well as low blood pressure and even organ failure – such as kidney or liver failure. In order to accurately diagnose ARDS or other problems with the lungs, Dr. Ali Ghahary will listen to a patient’s chest with a device known as a stethoscope. 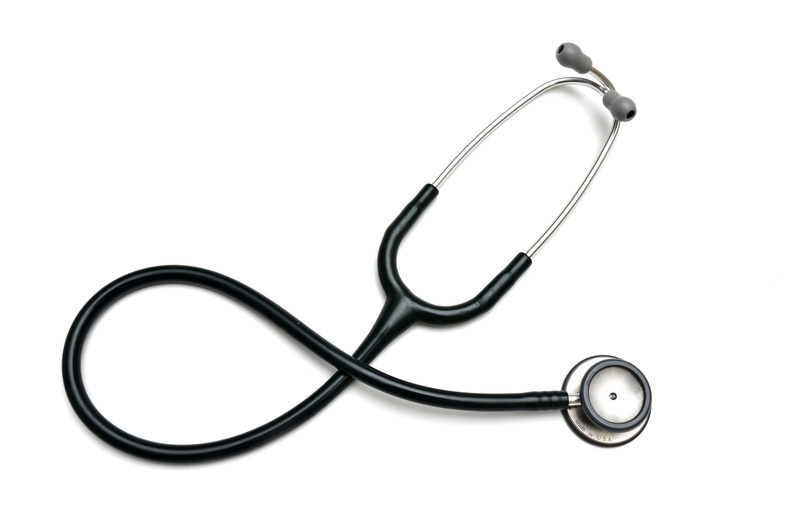 The stethoscope allows for Dr. Ghahary to hear any abnormalities in a patient’s lungs. If it’s suspected that the patient has Acute Respiratory Distress Syndrome and their blood pressure is low, they may have a pale appearance as well as a blue-ish tinge to the skin and nails. This is caused by lack of oxygen. Other tests that are performed to diagnose ARDS include complete blood counts, urine cultures, sputum cultures, chest x-rays and bronchoscopies. As many as 10,000 Canadians die each year as a result of Acute Respiratory Distress Syndrome. As this can be a life threatening condition, ARDS usually requires hospitalization for treatment – often in an intensive care unit (ICU). While in the intensive care unit, the patient will be sedated and they will be placed on a ventilator. The main goal of the ventilator is to not only provide the patient with large doses of oxygen, but to also help the lungs recover. Diuretics, antibiotics, and anti-inflammatory drugs are also often prescribed to patients with ARDS. Though it can take several months to years, patients with ARDS can recover quickly. Some patients, however, may have long-term respiratory problems, including difficulty breathing, fatigue, weakness, and even depression. In order to properly manage your lung health, it is important to go to your physician for regular check-ups and immediately report any abnormal symptoms that you’re experiencing. For further advice on how you can protect your lungs and for other lung-related support services, visit the BC Lung Association’s website at bc.lung.ca.